Back in the 1930s, a British newspaper ran the headline “Fog on the Channel, Continent Cut Off”. This demonstration of the UK view of the world neatly sums up why I have been so worried about Thursday’s referendum ever since David Cameron announced his intention to hold it. The headline is telling, of course, because the British view was never that Britain, the island on the Western periphery of Europe might be isolated from the mainland. No, the view was that those unfortunate Europeans would be cut off from the all-powerful, all-important United Kingdom. This outlook explains why the UK has always been an uneasy partner in the European Union. Our British neighbours, having dominated global trade, economics and politics for centuries, simply found it impossible to reconcile their former global dominance in the days of the Empire, with the sort of concessions and partnership that were necessary to underpin the European Project. It is a project, incidentally, which is all about embedding peace, opportunity and prosperity across Europe. You might easily forget that these days given the lies, dishonesty and fabrication which we have been treated to by Leave campaigners, not just in recent months, but over the past few decades. As of yesterday, the hateful, insular, anti-immigrant, anti-establishment rhetoric of condescending superiority has won out in the UK. Those of us who believe in the ideals of peace building and partnership in Europe are supposed to “respect” the referendum result and to somehow embrace this as an expression of pure democracy. But it is not. It is an expression of insularity, of the triumph of suspicion and hate over collaboration and cooperation and an expression of the victory of naked untruths and feverish emotion over facts and rationality. During the campaign Michael Gove said the British people are “sick of listening to experts”, as if a move to anti-intellectualism is a good thing. I am not aware of any period in global history when heated emotion, dangerous rhetoric and a rejection of well thought out rational arguments have led to anything other than destruction, chaos and suffering for human beings. The fallout from Brexit will be immense and jeopardises everything good we have achieved in Europe over the past 60 years. Brexiteers like to think this will lead to a domino effect across the Union, bringing down the carefully constructed architecture which has bound us together for decades. Sadly, they might very well be right. This is bad news for everyone. There are of course the economic implications for the UK, for Ireland, for the rest of the EU and for the world. We have already had a flavour of this in the past 24 hours with sterling plummeting and the markets in disarray. Financial services companies in London, the lifeblood of the British economy, are already looking at alternative EU destinations to relocate. The lies of the Exit campaign are already being laid bare. They told the British people they would save billions of euros in membership fees to the EU – but yesterday, in the space of ten minutes £120 billion was erased off the FTSE 100, far more than the UK would pay in membership fees in a seven-year budget cycle. More profound are the long term political consequences. There has been much analysis and speculation about contagion – the likelihood of other countries wanting to leave the EU in the medium term. The common view is that other EU countries will try to punish the UK for exiting. It is assumed that a bad deal will be negotiated in order to punish and make an example of the United Kingdom. Frankly, I think this is an irrelevant issue. The spill-over from Brexit is unstoppable and will disrupt the status quo in Europe without a doubt – whether the UK is seen to be ‘punished’ or not. Populist politicians all over Europe have seen the potential to disrupt and destroy. This is what they feed off electorally – it is like a drug. They will seek out opportunities to introduce similar referenda in other EU States and I believe they have a relatively easy task in succeeding. Any number of Member States – France, the Netherlands, Austria, Poland and even Germany – face extremist, anti-immigrant, anti-European movements which could in time trigger referendums and ultimately vote to leave the EU. This may be a worst case scenario – but then so was Brexit, until yesterday. It is very difficult to see how the centre can hold in the absence of strong leadership within the EU. There is and will continue to be a chorus from the media demanding leadership from within the European institutions, but in reality, this political leadership must come from the European capitals. Eurosceptics always have us believe that Europe is run by “Faceless Bureaucrats”. I have spent a long time working with all of the EU institutions, both as a parliamentarian and a Minister and the reality is that the European bureaucracy really takes its lead from Member State Heads of State and Government. The Council is where the political decisions and direction are set out to a very large degree. This is where the political power exists. The problem is that leadership has not been forthcoming from the member states for quite some time and the UK is guiltier in this regard than any other Member State. The only way to save Europe now, is for strong visionary leaders to emerge within the Council, representing all Member States, in particular the larger ones. The sort of leadership that is required would be bold, courageous and prepared to stand up to Eurosceptic populists. It would challenge their lies and inspire European citizens to once again believe in the values and common purpose of European countries working together – acknowledging that yes there will be sacrifices, but that the overall reward is so great it will be worth it. Sadly, I do not see this leadership emerging. Instead I see Marine Le Pen in France, Gert Wilders in the Netherlands, the hard right ‘Alternativ Fur Deutschland’ in Germany, the Austrian Freedom Party, Syriza in Greece, the Law and Justice Party in Poland and so on. It is hard to be optimistic for the UK or Europe in light of Brexit. It is a stark manifestation of the breakdown in the European ideal of cooperation and partnership which emerged from the ashes of World War 2. We are in for turbulent times ahead, characterised by suspicion, paranoia, inward nationalism, jingoism and extreme political dishonesty. A fog has surely descended and it is difficult to imagine a bright future beyond it. Brexit poses the greatest threat to the Northern Irish Peace Process since the Good Friday Agreement was signed in 1998. The question of the future status of the border between Northern Ireland and the Republic of Ireland has been shrugged away by Brexiteers throughout the referendum campaign, as though it is of little significance. The proponents of Leave refuse to explain precisely how they will achieve their stated objective of “taking back control of our borders” and restricting access to the United Kingdom for non-nationals, while at the same time casually claiming that there will be no change to the free flow of people across the island of Ireland. They refuse to explain, because of course both outcomes are mutually exclusive. The British Government simply cannot restrict access of migrants to the UK, while operating an open border policy with the Republic of Ireland, a country which is a fully-fledged member of the European Union, applying faithfully all aspects of the principle of free movement of people as member states (and non EU members of the Single Market – but that’s another story) must. If border controls are not implemented between the North and the Republic, then the UK will have a 370km unrestricted entry point from the rest of the EU, which I suspect might prove quite a surprise to the many hundreds of thousands of voters who plan to vote for Brexit precisely so that immigration can be dramatically limited. This blatant contradiction in the argument of the Leave campaign goes largely unchallenged. The response of some advocates of Brexit to the likelihood of border controls is to pooh-pooh it and claim that checks may be introduced between Northern Ireland and the rest of the United Kingdom instead. So these advocates wish to replace the shared external border of the European Union with an internal border within the United Kingdom. Are these the same people who opposed Scottish independence last year? The arguments seem to become increasingly schizophrenic. Let there be no mistake, the re-introduction of passport checks and potential customs controls between the north and south of Ireland (or indeed this bizarre notion of border controls between Northern Ireland and Britain) will certainly have a significant impact on peace on our island. As an Irish citizen, it angers me that Brexit campaigners have not addressed this. All British citizens should be aware of just how fragile peace in the North is. It cannot be taken for granted and those who wilfully and recklessly threaten it, should be held accountable. Reinstating the border controls will increase tensions between communities in Northern Ireland and will create new challenges for the political parties there. Even the parties themselves concede they are ill-equipped to deal with such turmoil. Crucially, border controls will have a direct impact on the economic fortunes of Northern Ireland. The development of strong trading links between the north and south has been a positive development since the early 2000s and in many ways has helped anchor peace and stability in Northern Ireland. The so-called ‘All Island Economy’ has benefitted citizens both north and south of the border, but has been particularly important for the economic development of the North. A number of studies carried out by the British Irish Chamber of Commerce and the Irish Business Employers Confederation, amongst others, have all set out the inevitable economic consequences of Brexit on the Northern Irish economy in particular. Those politicians who ignore these economic effects deliberately ignore the fact that negative economic effects do not occur in a vacuum. Job losses, company relocations and the overall ­­decline in the economic fortunes of citizens lead to political unrest. Given the violent and volatile history of Northern Ireland, it is a form of treachery for political “leaders” to ignore all of these enormous risks in the pursuit of some ideological fantasy land which simply does not exist. It may be tempting to see Northern Ireland as a bit of an outpost, or somehow not the concern of those living in mainland Britain. We should all cast our minds back to the bleak days of the 70s, the 80s and the 90s when the consequences of war in the North were not isolated events in Northern Ireland. The whole of the United Kingdom and Ireland, as well as the wider continent of Europe, were rocked by devastating attacks in Birmingham, Guilford, Warrington and Manchester to name but a few. A vote to leave the UK may not trigger a breakdown of the Peace Process in Northern Ireland, but it will increase tensions and destabilise an already fragile situation. The consequence of that is anybody’s guess. The EU has been a critical lynchpin of peace in Northern Ireland and a vote to leave will eliminate a critical partner from the Peace Process. Again and again we hear the “It will be all right on the night” line being trotted out by Brexiteers when they are challenged on the actual implications of an exit from the European Union. I don’t believe them, and when it comes to peace in Northern Ireland I am certainly not prepared to take a leap into the unknown, and nor should voters in next Thursday’s referendum. To punish or not to punish? That is the question on everyone’s lips. I’ve spent most of this week in London and Brussels and it seems to be the question preoccupying every commentator as more and more polls suggest that a departure of the United Kingdom from the EU is likely. The French want to punish the Brits, the Nordics and Ireland want to be helpful and the Germans are somewhere in between. But I am not so sure that the process of handling Brexit and negotiating the subsequent bilateral relationship, is something that can or will be managed in a precise and controlled manner. The existing legal framework, as well as the basic practical realities of managing the internal market and the internal political dynamic post a potential Brexit, will dictate the aftermath of next Thursday’s vote. In a sense existential factors will dictate the nature of any future relationship with the UK, rather than motives of revenge or conciliation. The process of handling the British exit from the EU will be legally anchored in Article 50 of the Lisbon Treaty of the EU. This is essentially the process of getting out of the Union. It takes into account the “framework for its future relationship with the Union” but a Free Trade negotiation it is not. I cannot envisage any circumstance in which the totality of the UK’s future engagement with the EU, particularly in terms of its relationship with the single market, can or will be negotiated in two years or anything like that timeframe. So the ‘Leave’ element may well be concluded, but the ‘What Next’ element will not. It is assumed by advocates of the Leave campaign that future membership of the single market is a no-brainer. It is not. All existing models which allow full access to the single market, such as the Norwegian model, require the non-EU state to accept free movement of people, sign up to all single market rules, regulation and red-tape without having any influence over them, and to make a significant contribution to the EU budget. All three of these requirements are precisely the reasons the Brexiteers argue the UK should leave. Therefore, there can be no assumption of a smooth and controversy-free transition to a new relationship which allows the UK easy access to the Single Market on the basis of these accepted conditions. These requirements to entry will be politically unsaleable in Britain. The British public will ask why exactly they went to the trouble of holding the referendum in the first place. So the issue is not French hostility or a desire to punish the UK. The problem is one of unrealistic and quite unachievable political and public expectation in the UK. The British public have been promised they can have their cake and eat it. This is the fundamentally dishonest picture of Post-Brexit Utopia which has been painted by certain British politicians. It ignores the fact that what they promise simply cannot and will not be delivered. Assuming that a Norwegian type arrangement providing access to the Single market is not feasible in post-Brexit Britain, what are the alternatives? Well Boris Johnson has helpfully pointed to the EU – Canada Free Trade Agreement as a model which could be pursued. The first truth which Boris and his colleagues should impart to the British public, is that a FTA does not give full access to the single market. They should also recognise that negotiations of the EU – Canada FTA began in 2005. The negotiations were concluded 11 years later, but the deal has yet to be ratified. These negotiations take a huge amount of skilled negotiation and no small degree of man hours to conclude. As an alternative to a Norwegian type of arrangement, and instead of a Canadian FTA style agreement, (or at the very least for the intervening years while it is being negotiated), the existing WTO rules will apply to trade between the EU and the UK. These rules only cover goods and not services, so are of little help, for example, to the financial services sector which makes up the heartbeat of the UK economy. They also allow for tariffs and customs controls in the trade of goods. For example, traditional tariff barriers would apply in sectors such as agri-food, which are a core part of the UK’s business with the rest of the EU (and Ireland’s with the UK!). It is clear that such a system would inflict significant damage on both the UK and EU economies, even if only temporarily applied. So the narrative around the punishment of the UK by vengeful EU member states is irrelevant. The biggest problem facing the UK will be the fantastical and totally misleading tales that have been spun by Leave campaigners and just how incompatible British citizens’ expectations are with the political and legal realities. At the end of the day, the sort of access to the Single Market that the UK wants and needs, is just not possible without accepting the governing rules and regulations which apply to all of the other beneficiaries of this market access. The notion that one State would be allowed to participate in the market, enjoying all of the benefits, without adhering to all of the rules that everyone else must abide by is nonsensical. But it is the nonsense that is being sold to the British public. Let’s hope they see it for what it is before June 23rd. For all our sakes. Last week I was invited by Chambers Ireland to speak at their conference “Making the EU Work for Irish Business”. I shared some of my thoughts on the business opportunities that exist in the Union today, and the possibilities for the future. Small and medium sized businesses in Ireland are largely ‘pro-European’ as a group, although increasingly they tend to question the composition of the Union and the benefit of Ireland’s membership. This reflects the questioning of the European project we have seen from citizens all over Europe, culminating with the potentially catastrophic exit of Britain on June 23rd. Small businesses, however, who employ the vast majority of Irish citizens (over 70%) have benefitted, and continue to benefit more than any other group, from Ireland’s membership of the Union. They are right, of course, to constantly challenge and question the evolution and operation of the Union. This is healthy in any functioning democracy. It is by challenging and disrupting that we achieve excellence. The unquestionable stand out achievement of the European Union from an Irish business perspective is the Single Market. The deepening and integration of the single market, which now allows access to a market of 500 million people is key to creating opportunities for small Irish companies. It also provides a major attraction for the countless multinationals based in Ireland. Their presence has a knock on effect for Irish indigenous business who are of course an essential part of the FDI ecosystem, providing foreign companies with goods and services, thus creating further employment down the food chain. Work remains to be done on the Single Market. In 2011, the European Commission launched the European ‘Single Market Act’ designed to make it easier for SMEs to trade across the Union. Particular focus was placed on public procurement, services and the digital single market. Some important progress was made in the following five years, but today the Juncker Commission places an enhanced and urgent focus on this key priority, recognising the immense growth potential for small business, and thus job opportunities across the Union at a time when such a boost is badly needed. This is evident in particular in Juncker’s ambitious plan for the Digital Single Market. While the Single Market presents further opportunities for Irish small business, a new opportunity has opened up in the past few years in the shape of the Transatlantic Trade and Investment Partnership. Liberalising trade between the two most important trading blocs on the planet is a smart way to ensure new opportunities for business of all shapes and sizes. A total of $5.5 trillion dollars is generated in commercial sales across the Atlantic each year, with 15 million people employed as a result. This is the largest economic trading bloc in the world – but there is potential to do more. When, as European Affairs Minister, I was working with my colleagues in Government to set out priorities for the Irish Presidency of the Council of the European Union, one of the key issues which I ensured was top of our agenda was TTIP. Our task was to finalise the negotiating mandate for the European Commission by the end of our Presidency on June 30th 2013. There were times when this seemed impossible due to the protectionist tendencies of some member states, but after intense negotiations on both sides of the Atlantic, we managed to get it across the line. This gave the green light for the beginning of TTIP n­egotiations. This trade deal is critical for Europe, for America and for global trade. It is also of major importance to Ireland, which is the EU Member State that stands to gain most from a successful deal finally being struck. This should come as no surprise since the United States investment amounted to a whopping €310 billion euro in 2014 – making Ireland a bigger destination for US inward investment than China or Africa. TTIP is not without its problems however. The hard left and hard right across Europe have mobilised rather effectively to oppose this deal. Likewise, opposition is mounting in the United States. Both political wings appear to want to turn back the clock on globalisation and prevent advances in global regulatory convergence. This is both wishful and destructive thinking. Globalisation is a reality. Undoubtedly it presents major challenges to political leaders in liberal democracies all over the world, but burying our heads in the sand will not turn around globalisation. If the EU and the US fail to lead in setting standards for themselves and the rest of the world, trade liberalisation and regulatory convergence will still happen – just on the terms agreed by Brazil, Russia, India, China and others, rather than terms agreed by Europe and the United States. This would be bad for all concerned. We have an opportunity to positively shape regulation, ensuring high quality and high standards in areas as diverse as agriculture, food security, pharmaceuticals and financial services. It would be irresponsible for the EU and the US not to step up to that challenge. Irish businesses are generally hugely enthusiastic about TTIP, with representative bodies such as IBEC and Chambers Ireland strongly advocating in its favour. This enthusiasm is easily understood, upon a cursory examination of the potential benefits of the agreement. TTIP, like all Free Trade Agreements, will deal with both traditional and non-traditional trade barriers. It may be assumed that traditional tariff barriers no longer exist to any great degree, given the largescale trade which already occurs across the Atlantic. In fact, many barriers do still exist – some as low as 1% of product value, but in some cases tariffs are applied at rates as high as 6%. This is particularly the case in the contentious agri-food sector. TTIP presents a unique opportunity to finally eliminate tariffs and reduce the cost of trade for producers and suppliers on both continents. The non-traditional barriers are arguably more interesting and account for the real substance of any potential trade deal. The liberalisation of services across the Atlantic presents a unique opportunity. Growth in the services industry in Ireland has been robust over the past number of years, so opening up services markets in the United States will offer new opportunities for Irish firms. A major focus of the TTIP negotiations is on mutual recognition of regulatory standards. This particularly stands to benefit SMEs, who struggle to absorb the cost of delays and bureaucracy. The key here is not the harmonisation of regulation, which itself might be cumbersome and overly complex, but rather the mutual recognition of standards by authorities on both sides of the Atlantic. This would serve to reduce the burden and workload of regulators, ending the current duplication that exists whereby providers must comply with two sets of standards. A single system of assessment and compliance would speed up trade and reduce red tape. This is important for all business, but would have a particularly positive impact on the agri-food sector, where many perishable goods simply cannot be exported to the US due to time lags caused by the current duplicate system. Another key objective of TTIP is to open up public procurement in the United States to European tenders. This would mean that the US state sector would be open to European bidders for the first time, who are currently discriminated against by the “buy America” rules. Small and medium sized enterprises in Ireland and across the EU would potentially benefit from this rather enormous opportunity. US public contracts in 2015 amounted to almost $500 billion, to put it in context. TTIP is also important in the wider context of the global economy at a time when growth is generally sluggish. After decades of stalled WTO negotiations, a transatlantic trade deal would foster growth globally, as well as in the EU and the US. Notwithstanding the obvious potential benefits of a successfully negotiated trade agreement, there is no doubt that the current TTIP negotiations could very easily be derailed. A recent opinion poll in Germany showed that public support for the deal has plummeted to just 17%. This poses a major political problem for Angela Merkel or whoever the next Chancellor will be. One thing is for sure – if German support for TTIP is withdrawn, there will be no deal. The challenge for political leaders and business leaders all over Europe and the United States is to present a convincing and passionate case for this trade agreement. So far they have failed abysmally to do so. The European Commission has had many motives attributed to its recent decision to launch a competition investigation into the practices of Google in relation to its mobile devices in the European market. Google automatically installs its android programme on its devices prior to distribution. While Google does not charge for the android operating system, the Commission nonetheless accuses the global giant of distorting the market, by automatically putting its competitors at a disadvantage when it comes to the sale and distribution of their commercial apps. Much of the response from the US, both at official level and amongst the incensed Commentariat, focuses on the protectionist motivations of the European authorities. There is no doubt that there are myriad domestic issues at play. Many EU member states have an innate dislike and mistrust of US tech companies. They see them as a threat to indigenous industry and even in some instances as an assault on traditional European culture. This suspicion inevitably spills over into the attitudes of the European institutions and cannot be separated from the legislative agenda of these institutions. However, there is more to it than just that. One has to understand the psychology of the European Union and how diametrically opposite it is to the ‘live and let live’ approach of the US authorities to regulation in the tech sector. This is a cultural difference more than anything. Arguably, this cultural divergence has allowed a vibrant tech ecosystem evolve in the United States, generating phenomenal global successes such as Google, Apple, Facebook, LinkedIn and so many more. By contract the stifling approach on this side of the Atlantic has caused European tech companies to wilt. The main driver of the Commission’s moves against Google, and indeed its extraordinary catalogue of restrictive legislation planned during the lifetime of this Commission, is a fear of technological advances which it simply cannot control. The European institutions fear the unpredictability of the tech sector and feel the need to put in place tight regulation in anticipation of innovation. Crazy as it may seem, the EU feels an urgent need to control and restrict tech evolution, even before it has happened. This is obviously not a healthy approach to innovation and threatens both indigenous and foreign technology companies alike. However bizarre and frustrating the EU attitude may be, it is essential that corporates, especially those multinationals headquartered in Dublin, do not bury their heads in the sand, or swagger about expecting the EU institutions to eventually bow to their might. Microsoft can perhaps offer some counsel in this respect, having been fined a whopping €561 million in 2013 by the Commission for failing to comply with its commitments to offer users a choice for their preferred web browser. Tech companies are best advised to take the EU regulatory concerns seriously. They do not exist in a vacuum and often reflect the privacy concerns of European citizens (particularly France and Germany). Rather than railing against the EU bureaucracy, the smart thing to do is try to understand and shape it. President of the European Commission Jean Claude Junker, sees forcing changes in how multinational technology companies operate in the EU, as being a key objective of his period in office. The US Technology sector has few friends in the European Commission or the European Parliament, and it will have to rely heavily on those Member State in the Council with whom there is a common interest in supporting the sector. Sudden and unforeseen dangers, such as Google has felt, can come from the EU Competition Commissioner who by megaphone diplomacy or simply off the cuff remarks is impacting upon market sentiment, while EU legislative proposals are a lengthier and drawn out affair. These can be influenced. One of the key allies for technology companies is the United Kingdom. It is clear that if Britain leaves the EU on June 23rd, this will be a wholly negative outcome for US technology companies, who will have lost an important ally at the negotiation table when legislative proposals in the area of data storage, or taxation are being deliberated upon. Understanding the nuances of 28 Member State politics, a Parliament that has 751 members and European Commission politics is essential for any technology company that is seeking to ensure that balanced outcomes are arrived at, either by way of legislation or potential EU competition investigations. Burying their heads in the sand is simply not an option, or at least may prove to be a very costly one. Setting up RENUA Ireland in March last year was clearly the most difficult route which my colleagues and I could possibly have taken. I know that many friends and commentators believed we should run as Independents. Many of my former party colleagues implored us to return to the Fine Gael fold, but to myself and the thousands of RENUA members, supporters, canvassers and candidates, these were not options that we could seriously consider. They were the easy options. You see, we passionately believed, and continue to believe, that Ireland is not well served by its political establishment. As a country we need change. But change will not be delivered by the mainstream political parties. We decided to create a new political party to set out a new vision to try to be a catalyst to deliver that change. We have not succeeded in this election, but this is just the beginning of the RENUA project. RENUA Ireland was bold and ambitious in the Manifesto we launched in early January. There are many big ideas in there, but in a world of “soundbites” and spin, it is very very difficult to communicate substantive policy ideas. As a small party with no resources, it is almost impossible. Funding was the biggest challenge for us in this election campaign. The established parties receive €14 million a year from the exchequer. This is mega money to plough into policy development, media advertising, social media campaigning, administrative support and much more. By contrast, a new party receives nothing. The imbalance in this situation is stark. Any commercial industry operating in this manner would probably fall foul of competition law, especially where the incumbents set the rules to benefit themselves. Even the other new party on the political scene, the Social Democrats, could utilise the generous allowances received by their TDs who were elected in 2011 as Independents, such as Stephen Donnelly and Catherine Murphy. All public funds distributed in respect of myself and my Oireachtas colleagues in RENUA Ireland were retained by our former party, Fine Gael. We asked Fine Gael to return that taxpayer money to the taxpayer, but they insisted on keeping it. A real silver lining for the party, in what was obviously a disappointing election campaign, is the fact that having exceeded the critical 2% threshold, RENUA Ireland will now be entitled to receive state funding to run and administer the party. These funds will be modest enough, but they give the party the capacity to grow and build on the achievements of our 26 candidates nationwide. I believe the party will now focus firmly on the next local elections to continue building a national organisation from the grass roots upwards. I have no doubt that RENUA has a future, and a necessary one at that. The likely outcome of this election is a FG minority government, propped up by Fianna Fáil in opposition – a Tallaght Strategy of sorts. Many people will rejoice at this outcome, they will regard it as the proper realignment of Irish politics into a Left/Right divide. I, however, am more pessimistic. I do think both parties have a responsibility to form a government and respect the outcome of the election. But I am absolutely convinced that a FG/FF coalition or minority government situation will do nothing to solve the problems of this Republic. A joining of forces by both parties will ensure the continuation of the failed practices which led us to economic devastation in 2008. Such an alliance will see cronyism continue unabated, will see powerful vested interests continue to be represented at the Cabinet table, and will copper-fasten the culture of impunity, which refuses to hold corrupt politicians and reckless bankers to account. During our existence to date, we have railed against this type of old politics, but maybe we were unable to convey this message sufficiently strongly during the recent campaign. Or perhaps we conveyed it so strongly that the various vested interests threatened by our party’s ethics and plain talking decided to keep us down. Certainly the malicious and calculated smear campaign orchestrated against me personally, and by extension the party, by the largest media outlet in the land, tells its own story. That being said, I believe strongly in democracy and the democratic process, and I completely respect the democratic will of the voters of Dublin Bay South and the other 39 constituencies across Ireland. To have served and represented my community, my constituency and my country has been a huge honour, and one for which I feel grateful and privileged. I wish all of the TDs elected to the 32nd Dail the very best of luck over the months and years ahead – we are living in interesting times, and they will need it. 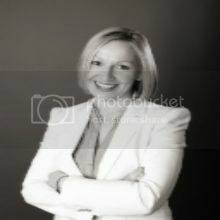 Lucinda Creighton is a barrister, former Irish Minister for European Affairs and Member of Parliament.